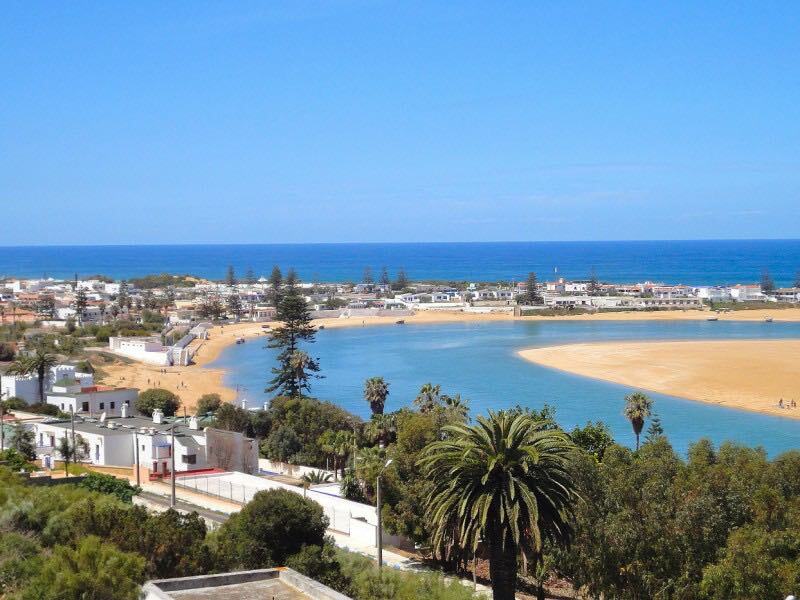 There are more than 1,200 miles of beautiful coastal areas, which stretch along the Mediterranean starting from the city of Saïdia, and down to Dakhla on the Atlantic coast. There is practically a type of beaches in Morocco that can suit every need. If you hear someone proposing to spend a holiday in Morocco, what are the first things that pop into your mind? You probably think about sandy landscapes, busy bazaars, and an ancient fortress built with the reddish, sun-burned rocks native to the area. But, did you ever imagine how the beaches in Morocco look? 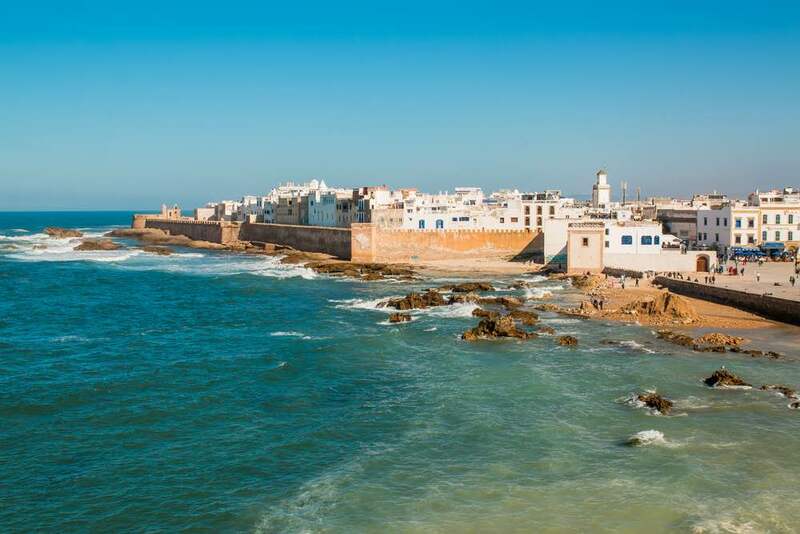 While the traditional Moroccan vacations revolve around the history and culture of the area, you should know that choosing to spend your holiday in this corner of the world can get rather exotic, with soft sands and the sound of waves. What most tourists are not aware of is the fact that Morocco offers a wide range of destinations on the beach, gorgeous resorts that have everything you need for an ideal holiday together with your family, or luxurious and romantic getaways for couples and young people. Would you like to walk on uncrowded beaches, which look untouched and where birds and other wildlife unroll their lives undisturbed? Would you want to enjoy kite-surfing and other water sports? Or perhaps the ideal holiday for you is represented by the presence of luxurious and comfortable hotels where you have all the facilities you can dream about? 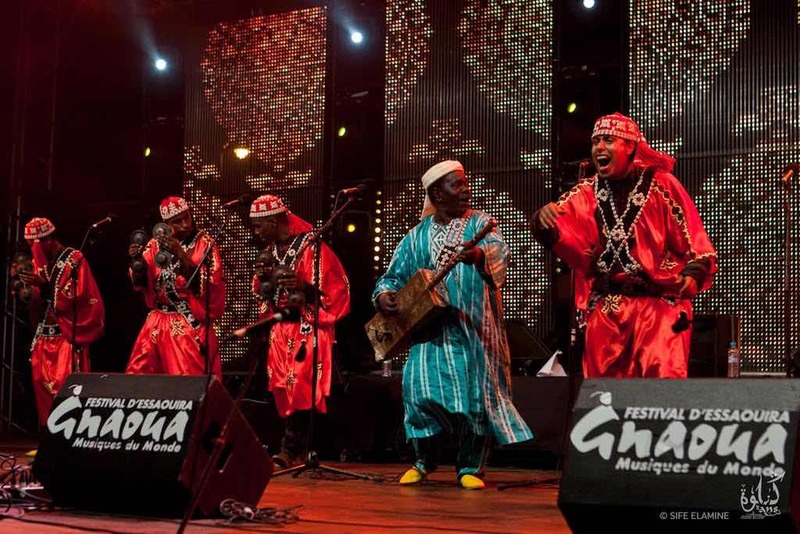 Then it is worth knowing that Agadir and Tamuda Bay are famous for their hotels and resorts, which can easily compete with other beautiful resorts located on the coast of the Mediterranean. It doesn’t matter if you enjoy busy resorts and cities or you like to have some peace and quiet during your vacation because both options are available in Morocco. Regardless of the Moroccan destination you will choose for your holiday, the unique charm and magic of this country will definitely be present, making your stay unforgettable. If you want to be surrounded by an incredible atmospheric coastal city, then you need to try out Essaouira, a legendary resort in Morocco. This particular city started to be quite famous in the 60s when the most renowned artists and hippies of the times found the charm of this place irresistible. Frank Zappa, Jimi Hendrix, Cat Stevens, these are only a few names that walked in this area and made it known around the world. You can still feel a relaxed and laidback atmosphere here, probably because the rather strong winds that can be felt here do not allow this resort to grow into a more popular and crowded place. But, apart from the beautiful beach, the city of Essaouira is incredibly beautiful and definitely worth visiting it. It is a location of a gorgeous and mesmerising medina, built in the 18th century, due to the doors and windows painted in a unique blue-teal colour that come into contrast with the whitish walls. 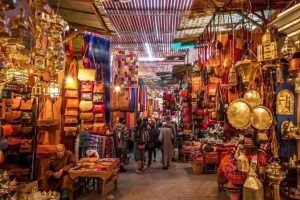 It is a true corner of paradise if you want to shop authentic traditional Moroccan items. Not to mention that for photography enthusiasts this place will give them the chance to immortalise some of the most breathtaking images. All this walking around made you hungry? Well, you can easily satisfy your stomach with one of the delicious Moroccan dishes served at the food stalls in the city, food that is freshly made by the local fishermen who immediately cook their capture of the day, always accompanied by fresh salads. Agadir is, by far, the most popular resort on the Moroccan shoreline. The weather is warm and sunny around the year, with insignificant chances for rain. So it doesn’t matter when you choose to come here because you will always enjoy an amazing weather and a stretch of sand that has over 6 miles in length. You will find a plethora of hotels that are capable of fitting in every budget size and answer to any requests. 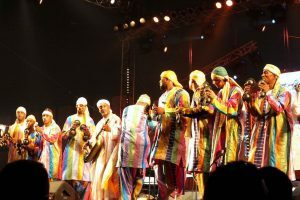 If you visit Agadir, you will notice that it is more modern than other Moroccan urban areas, the traditional air felt in other parts of the country being more discreet here. This is due to the fact that a horrific earthquake tore down the city in the 60s, so it had to be complexly rebuilt, which explains its change of personality. But even so, it is definitely worth coming here for the spectacular beachfront you’ll find in this city, bordered by amazing promenade areas, packed with a wide variety of stalls and artists, and restaurants that serve, besides delicious dishes from the Moroccan cuisine, the opportunity to enjoy mesmerising sunsets. 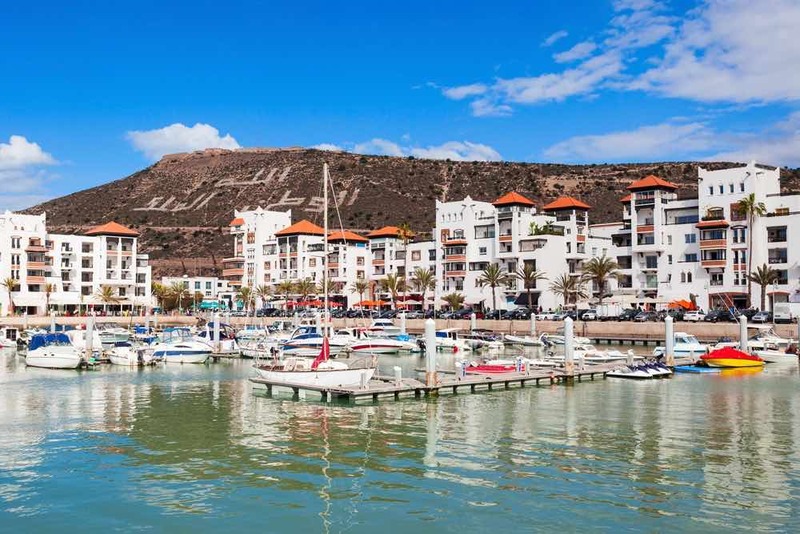 In the city, you will find a top-notch port that is worth millions of pounds, called Marina d’Agadir where you can enjoy one of the numerous restaurants, boutiques, and shops located all over the area. You should also consider visiting Taghazout, a small fishermen village located nearby, especially if you want to catch amazing waves for surfing. Just one hour away from Tangier by car, Tamuda Bay is a quiet resort on the coastline of North Morocco. Unlike other Moroccan resorts, this is not that much explored by tourists and visitors, which makes it perfect for families looking to enjoy quality time together. A good number of luxurious hotels have been opened in the area in the past years, hotels like Ritz Carlton, Banyan Tree, and Sofitel, so if you want luxury escapes then this is what you’ll get. These resort destinations are perfect for couples and families; the beach gently and gradually descends into the waters of the sea making it safe for small children, while the wide availability of water sports will keep teenagers busy and entertained. But staying in Tamuda Bay does not mean that you have to spend each day of your holiday on the beach. Feel free to enjoy the nearby funfair, waterpark, the high number of street vendors and restaurants located along the Mohammed V Avenue. You can also visit Tetouan, a gorgeous small city that is very close to the Tamuda Bay, with white houses, backed-up by tall mountains in the back and bordered by the sea in the front. Also, it is worth discovering and visiting the Royal Palace and medina in the area, both of them being declared UNESCO world heritage sites. 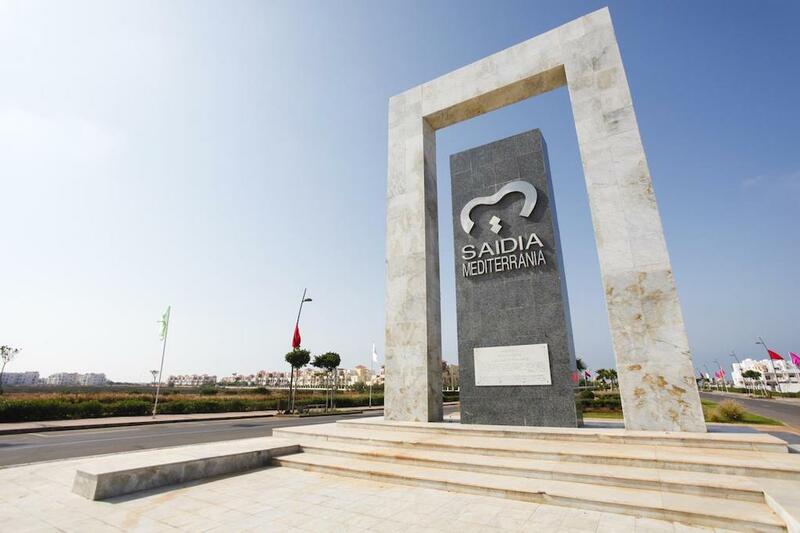 If you follow the Mediterranean coast further to the east, you will come across Saïdia. It is a much smaller resort city, but very picturesque, with a beach that was barely touched, and eucalyptus trees and mimosas as part of the natural landscape. The number of available hotels is smaller in Saïdia, but you will still have the chance to find comfortable accommodation. Just have in mind that you will enjoy the vicinity of the Moulouya National Park, which should be visited as it offers amazing views and natural beauties to explore. 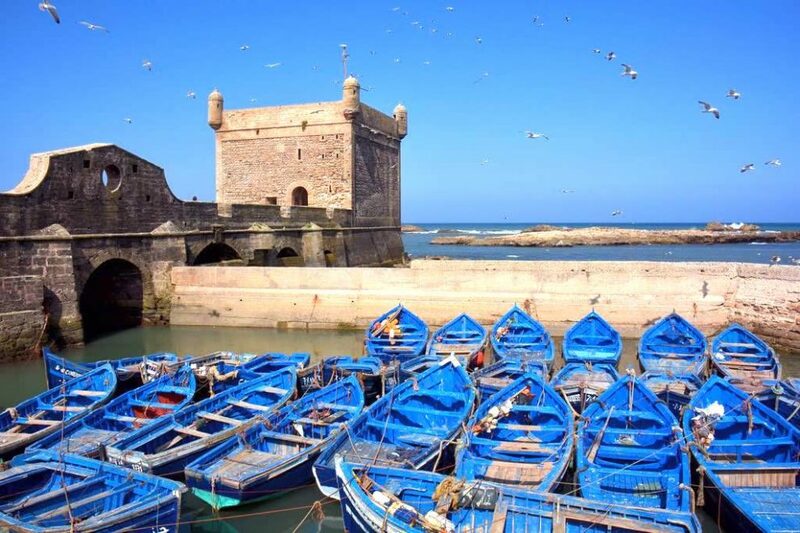 Oualidia is a charming little village, placed between two large cities, El Jadida and Essaouira, just in case you feel the need for a city break, which is home for an incredible lagoon that offers excellent surfing conditions and the opportunity to watch wondrous local birds. The best seasons for birdwatching is autumn and spring when the flocks of migratory birds stop in the area to replenish their energy resources before continuing their path. 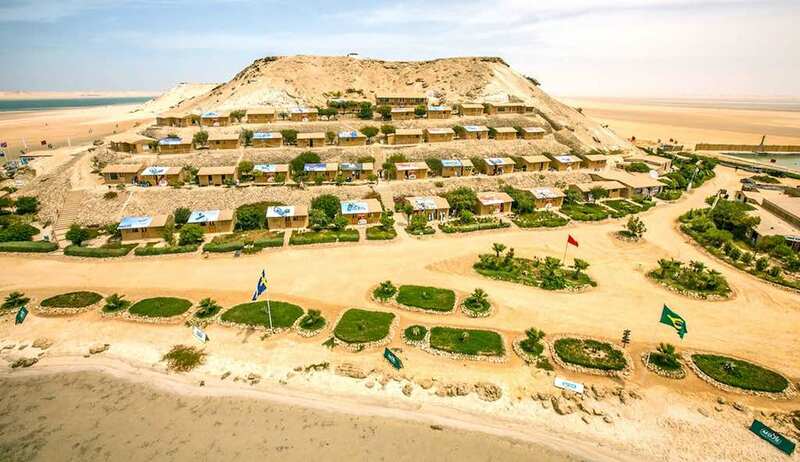 Many Moroccans choose this resort for their summer holidays, July and August representing two months that can make the city rather crowded with visitors. But apart from this particular period, life and time in Oualidia unroll very slowly and in a relaxed manner, making this place ideal for swims in the lagoon, enjoying seafood dishes and peaceful walks along the coastline. Are you looking to enjoy some adventures but you want to stir away from busy urban areas at the same time?… Then you need to visit the few remaining wild beaches in Morocco, such as La Plage Blanche. Located in the centre of an ecologic park, this particular beach is home to unspoiled sand dunes. You will find no hotels in the area, just a few scattered fishermen huts. So, if you want to enjoy all the 25 miles of virgin beach, the only mean of accommodation is a tent. If you do want to accept this challenge, you will never forget the nights spent on the sand while looking at the enchanting starry night sky. Another wild place in Morocco that is worth visiting is the Dakhla peninsula. It is a sought-after destination for water sports enthusiasts, such as kitesurfers. The waters of the peninsula are providing suitable conditions for experts and beginners alike. But, do be prepared to see an area that is very different from the rest of Morocco, amazing landscapes and numerous adventure opportunities make this wild resort worth visiting.